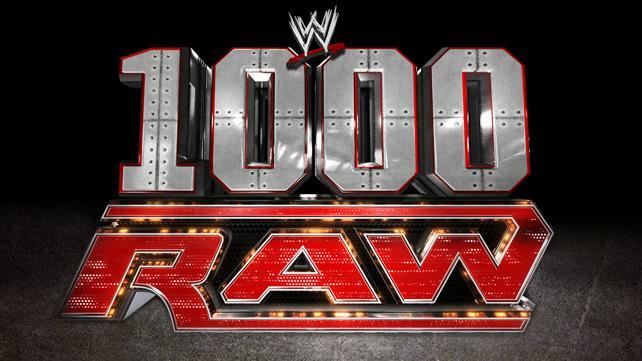 WWE celebrated their 1000th episode of Raw and threw the kitchen sink at it in order to make the three hour show compelling. Did it work? Did they prove that the switch to three hours a week will be worth it? Read on after the break to find out! Last night, WWE held their yearly Money in the Bank PPV. From most accounts, it was a lackluster show which makes me feel better for not having ordered it. But still the results are important, so here they are in quick, digestible form in the order they were presented at the show. Occasional comments from me included for free. Results come courtesy of ProWrestling.net. 1. Smackdown Money in the Bank: Dolph Ziggler defeated Tensai, Damien Sandow, Santino Marella, Christian, Tyson Kidd, Sin Cara, and Cody Rhodes to win the Money in the Bank. Even though I’m still firmly in the “Cody Rhodes is the future” camp, the right man won here. Ziggler is ready to become a main eventer; here’s hoping he gets a legitimate shot and doesn’t get Swagger-ed. Good to see Smackdown will never escape its “B-show” stigma. Sigh. The Prime Time Players are the number one contenders to the WWE Tag Team Titles, yet take a loss and on PPV no less. Why wasn’t this on the pre-show instead of the tag title match? Makes no sense to me. 4. No-DQ Match for the WWE Title (w/ A.J. as the special referee): CM Punk (c) defeated Daniel Bryan to retain the WWE Championship. Even though The Miz made a most welcome return to the WWE by interjecting himself in the match, it was all but destined that John Cena was going to win the MitB. I expect him to get woven into the Punk/Bryan/A.J. storyline leading to a triple threat match at Summerslam for the title. Okay not expect; I hope that’s what happens. And given that Cena is WWE’s top star and the A.J. story is their top angle, it makes sense to weave them together. Could be fun. Did you watch Money in the Bank and love it? Feel free to comment and sh*t on my very ill-informed opinion!